Learn about the latest recruitment trends set to impact the industry and help agencies stay ahead of the competition. 2017 has provided the recruitment industry with many obstacles over the course of the year, including the ongoing talent shortage, leaving 65% of recruiters worried (Jobvite). But despite this, the past 12 months have proved to be very fruitful, with onrec reporting that in the first four months of 2017, almost 900 new recruitment agencies were opened. According to The Telegraph, exports are starting to grow, meaning there’s a growing urge to employ more people in the manufacturing sector. In turn, this bodes well for recruiters specialising in this field. However, despite these positive signs, there are still some key areas to improve on in early 2018. Especially when it comes to maximising profits and improving the candidate/client experience. An interesting read from Bullhorn revealed that 42% of recruitment pros said they’d like to improve the management of client/candidate relationships, as well as improving the technology in their agency. While these stats might only serve as a snapshot of the industry, there are developing trends which could influence whether these goals are reached or not in 2018. To successfully grow a recruitment agency in such a saturated market requires a brand differential. What makes your company stand out? Attaining big contracts with businesses has far exceeded who an agency is and what you’ve previously heard about them. 2018 is all about improving the overall package. Social media is a key area for the recruitment industry now and going forward into the new year. With more than 65% of people saying they have used Facebook to search for a job opening and LinkedIn’s users reaching over 500 million worldwide, these channels are becoming increasingly important. To add a little more context, Agency Central believes that 94% of recruiters are actively using LinkedIn, with Facebook (47%) and Twitter (44%) trailing. That’s a noteworthy amount worth considering. However, while social media is and will continue to dominate the way the industry sources new clients and candidates alike, there is a risk it could become too saturated. So, what are the alternatives? Leveraging technology to improve business operations is becoming significantly more important within the recruitment industry, especially when it comes to developing the perception of a brand. Further research from Bullhorn stated that technology adoption has been high in 2017 for Recruitment Customer Relationship Management (CRM) systems, with 78% using one to track candidate activity and 68% to manage sales. Another key trend that’s been making waves in the past couple of years and is set to continue its meteoric rise, is mobile technology. In fact, statistics from Hppy show that more than 70% of candidates visit a company’s website via their mobile device to check out career opportunities, and almost 50% used their phones to apply for an open position. These compelling statistics are a real game-changer for the recruitment industry, impacting the way they need to interact and engage to get better results. Yet, the same article reveals that only around 13% of companies have invested in mobile recruitment. 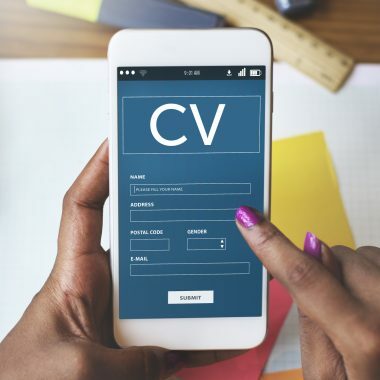 ‘One click’ buttons for job applications are becoming the choice of the busy professional and potentially an excellent opportunity for proactive recruiters looking to capitalise on the mobile-savvy market. Piggybacking off the growing desire for mobile technology is the use of SMS marketing. According to The State of SMS white paper, just over 8 million people have opted in to receive texts from recruiters, with this figure set to rise to 12.5 million by 2020. Yet, despite the popularity of text messaging and its 98% average open rate, the SMS channel will only be operating at 36.7% in 2018. This means the number of messages being sent in the recruitment industry, per annum, will fall short of the amount candidates are happy to receive. In today’s market, text messaging can be very versatile. 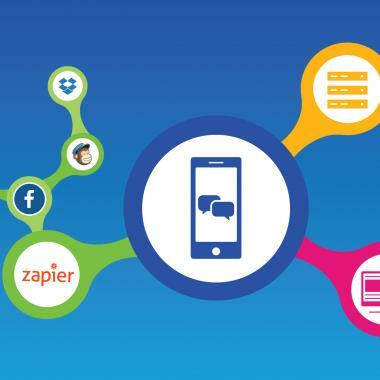 Top SMS platform’s like Textlocal’s, can connect with popular CRM systems and email clients to further improve the candidate experience and give their business the best chance of succeeding in 2018. By using Textlocal’s SMS API, recruiters can follow up email job alerts and interview reminders with an SMS to ensure it is read. These humble messages can elevate your brand into new realms, instantly giving off a more modern and candidate-centric feel to both job seekers and potential businesses. While the recruitment industry will more than likely continue to grow over the next 12 months, developing a brand through advanced technology and SMS could be the key to greater success. The essential point is, those who are willing to make a positive move towards evolving their brand and offer greater operational efficiency through technology, will most likely be the ones who see a higher level of client retention, candidate engagement and larger gross profits. For more information on how to integrate your CRM or email platform with Textlocal’s SMS API, sign up for an account below and we’ll arrange a demo at a time that suits you best.